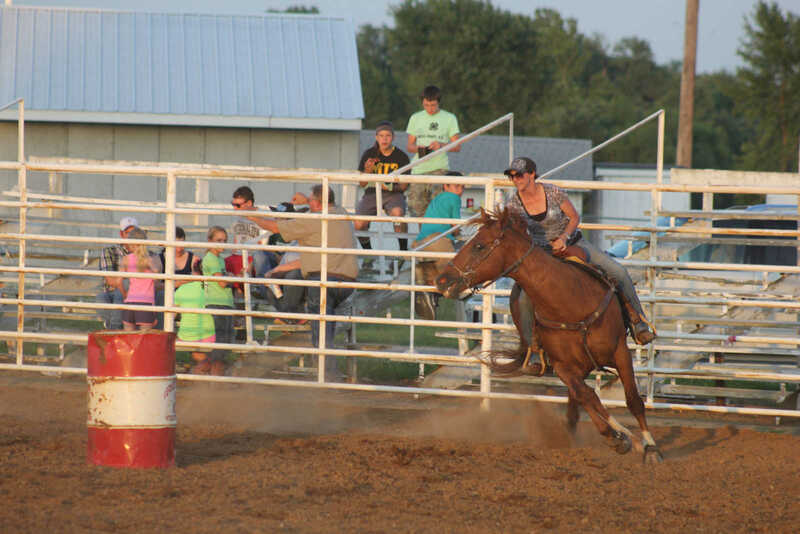 Taylor Shumake races barrels, 11-14 age group, during the Vernon County Youth Horsemanship Show-Deo on Friday, July 11, 2014, at the Vernon County Fairgrounds. 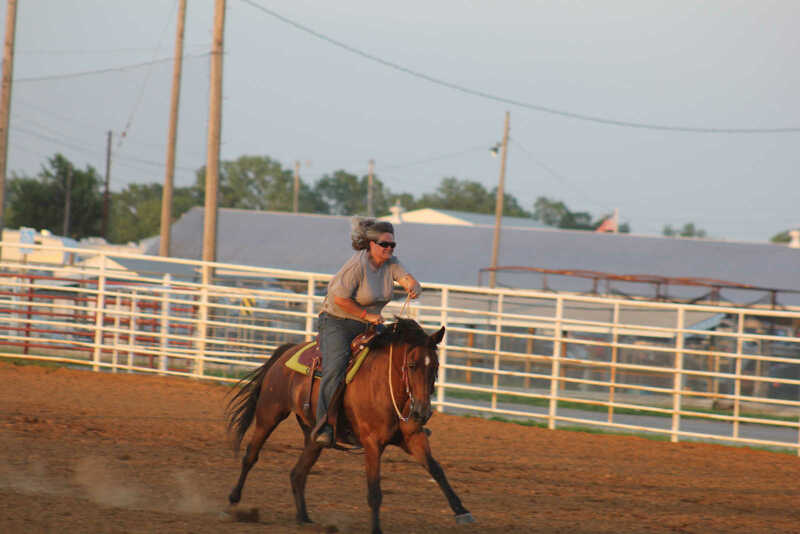 Jennifer Gundy takes second place in the 15 and over age group, at the Vernon County Youth Horsemanship Show-Deo on July 11, 2014, at the Vernon County Fairgrounds. 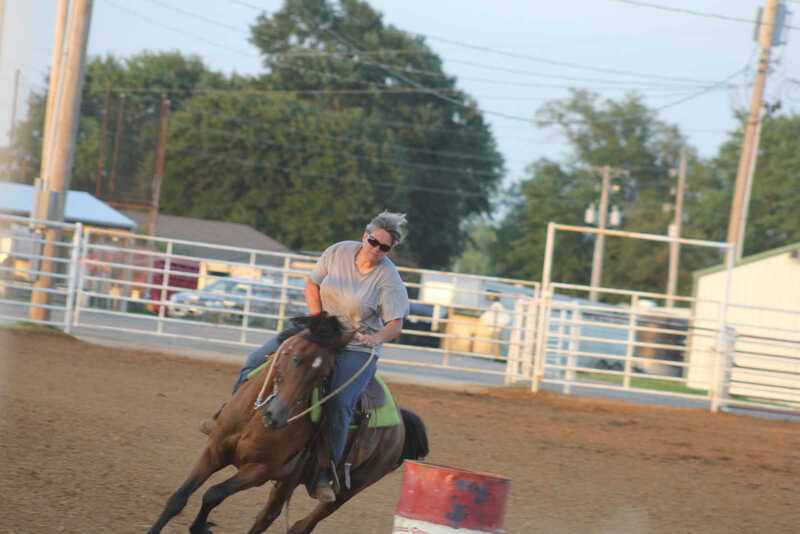 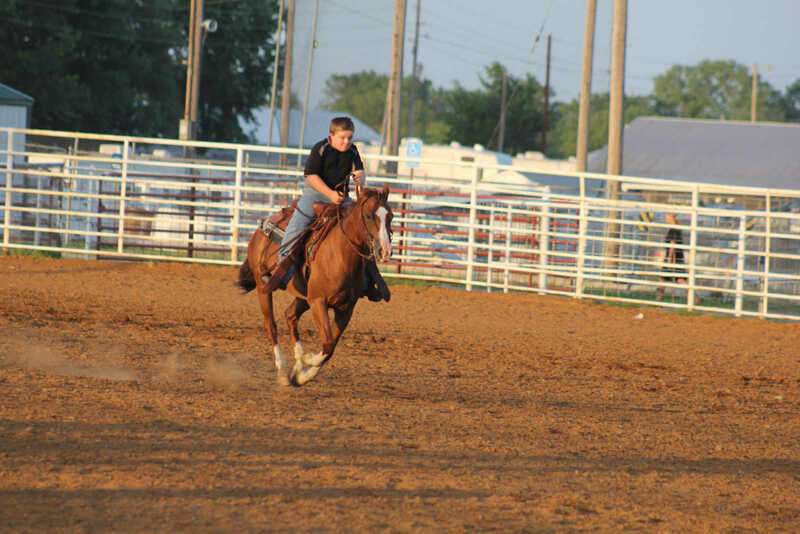 Missy Raper, the Chairperson for the Vernon County Horsemanship Committee, takes third, 15 and over age group, in the Barrel Races on July 11, 2014, at the Vernon County Fairgrounds. 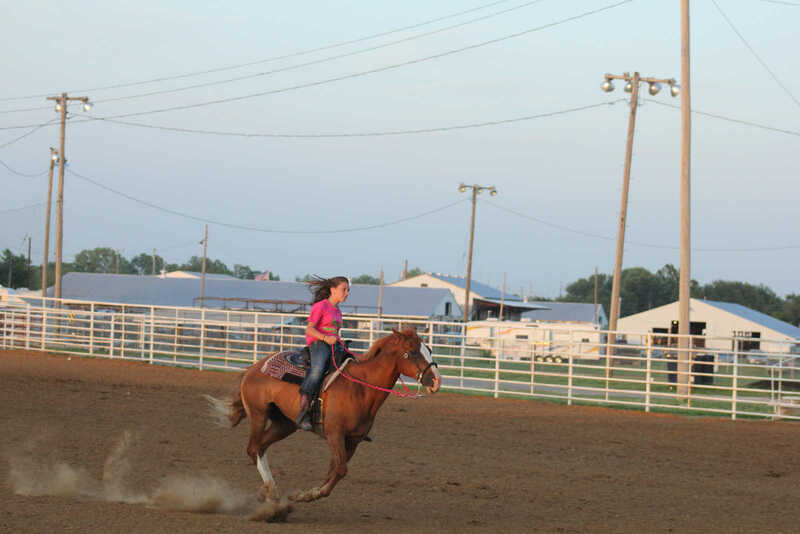 Addie Burgess races in the 11-14 age group at the Vernon County Horsemanship Show-Deo on July 11, 2014.